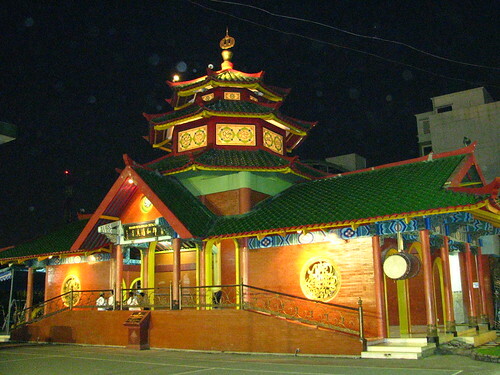 Attending a conference in Surabaya in 2008, I visited the Cheng Hoo mosque. I didn't have a DSLR then. 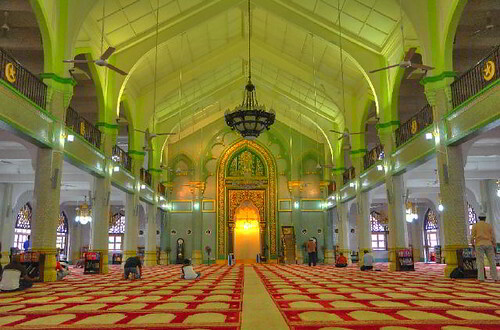 Presenting a paper in TENCON, Singapore, last year, I went to Masjid Sultan. This time, I have my Nikon D90 set to RAW. This picture is high-dynamic range (HDR) image from 5 JPEGs derived from the single RAW file. I used the Nikkor 16-85 lens set at 16mm. 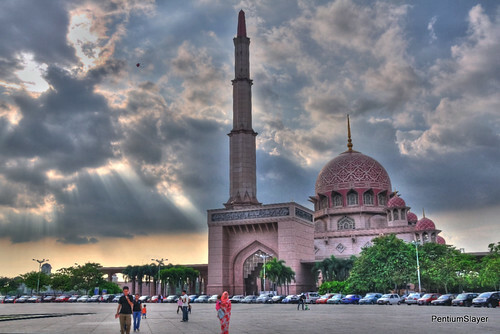 Another HDR photo is Masjid Putra in Putrajaya. The sun was behind the clouds giving the much sought after ROL (ray-of-light). Taken with Nikon D90 with 18-105 kit lens. 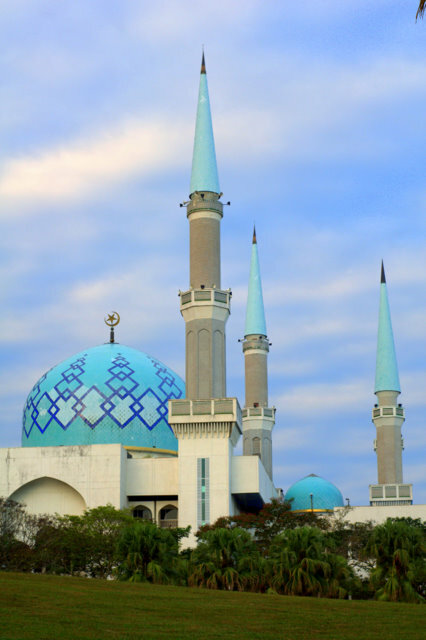 Close to home, the Masjid Sultan Abu Bakar at overlooking the straits. The objects in the sky are not planes, not UFOs but sagittal coma flare from the plastic 18-55 VR lens. D40 camera. 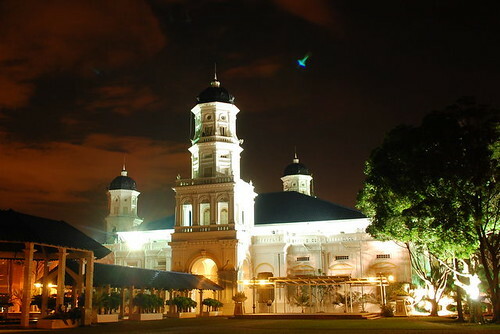 And at home, the Masjid Sultan Ismail, Universiti Teknologi Malaysia.